Marriages are made in heaven, they say! Arranged: Guy/Girl goes to “see” their partner along with parents, they weigh pros and cons of the to-be relation. In many cases weigh the gold, count the cash, check the earn-ability, looks, skin complexion, scale education qualification, and count the number of times you’ve returned from United States of America. Love? : Guy “sees” Girl, falls for her or vice-versa; like-ability factors. Sparks fly? Issues happen. And there are cases which are mixed too. What if someone had blindfolded your eyes through these above mentioned process? Which marriage process would you agree to? Would you get married? You’d just remove your blindfold; Yes pretty simple isn’t it? Unfortunately nature hasn’t left a such choice to everyone. Some people do not get to just remove their blindfold. Because it is permanent. They are blind, for real. And they are less-fortunate financially too; so there is no ‘just buy a pair of eyes’ here. They cannot experience to “see” the other person, forget checking the looks and flying sparks. So, do they experience ‘marriage’ or ‘love’? Love may-be; but marriage? When the whole so-called better equipped human race is running their own race to “see” their bright future, Who would hold two blind hands and join them in marriage? This I wondered as I sat pillion on a fellow ‘Saayam Cheddam Foundation‘ member’s bike approaching a place where it happens! Pushing the gates of a walled structure I saw a man sitting there facing a direction different from the person he was talking to. Yes, it was him. It was this man who takes time, effort and has the heart to get blind people married. Year 2000, marks the beginning of a good cause when he started helping the visually-impared and total-blind people come together. 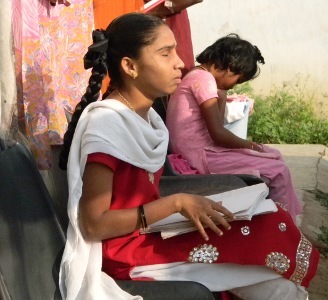 As he made his way through this process, he realised that even before marriage there are many basics that are needed to be addressed, that other people run from, that is void in the life of blind people. Many blind people are treated as a dead-weight. Family members do not care for them. Outside, they face reactions from people which are similar to as if people were up-close to a crawly slimy insect. A repelling, downgrading attitude. This breaks the confidence and self-respect of blind people. Not many people realise this; or wait they do? But they couldn’t care less. It takes real empathy to understand this and he did. He pushed his living to accomodate a group of 5 blind girls where he would put his efforts to uplift their confidence, their lost self-respect, which is the most toughest task. Sensing improvement in them, he would take it further by providing education, skill to work – making paper plates, agarbatiis(Joss sticks), key chains, perfumes, paper carry bags and also perform at stage functions to help them self-sustain. This is in a way making sure that they uphold their self-respect – very useful because not everyone he is helping get educated may find a job, not everyone wants to study. Yes guys, they are not taught to beg. They are not taught to expect sympathy because they are blind. 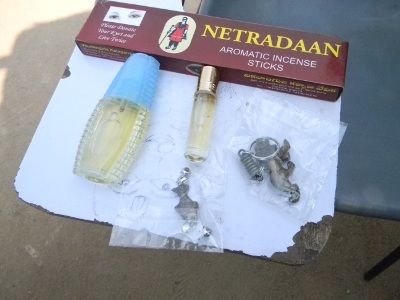 Joss sticks, perfumes, keychains made by the blind. 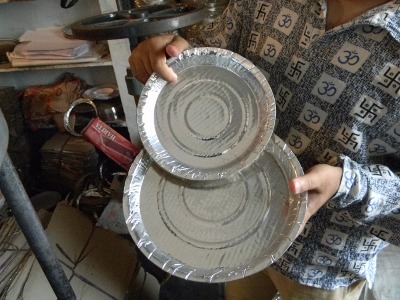 Paper plates made by the blind. 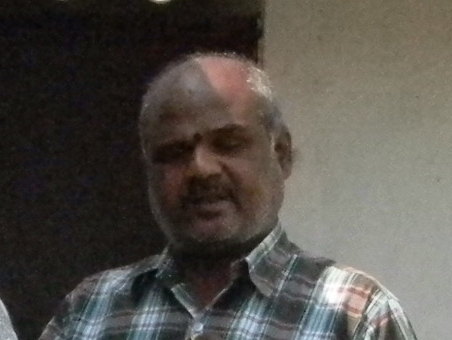 Over the years, he formed a home for the blind – Vikalangula Kalyana Vedika (vkvedika.org) and 18 people are now making their living working in Government jobs. 26 people have been married. 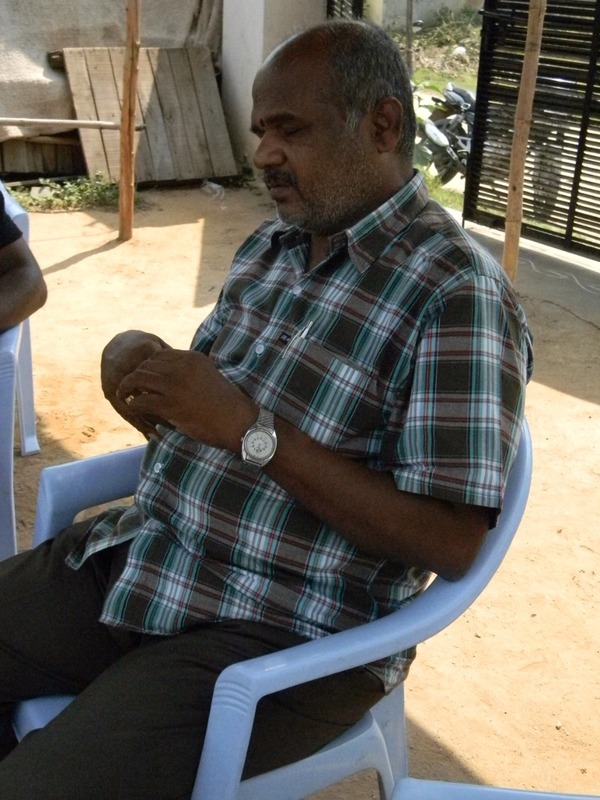 Year 2010, he opened a hostel for blind boys and today he serves close to 60 people (girls and boys). 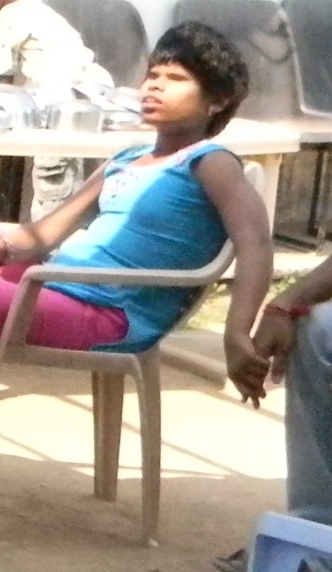 The girl who was recently abandoned by her parents. Our hearts were already sinking when we noticed a girl who would grab any hand close to her. She would grab it firmly and say ‘please don’t leave’. She just wouldn’t know whose hand it is. At a very human crowded place. Where we people with eyes would get scared. Because of the flow of people. Because of the kind of people. Because of huge vehicles that zoom past you or on you. 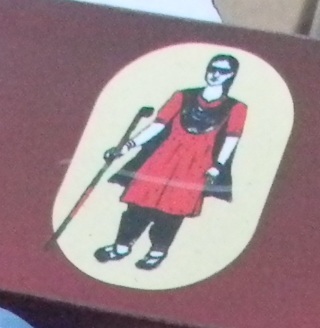 A small blind girl who wouldn’t know if she is walking towards a speeding bus. Or towards a high voltage electric fence. She was left alone there. To live or Die? I gasped as my heart sank to the bottom of the oceanic trench, and my throat was out of moisture as my brain felt numb. We looked at her but had no words to say. She was holding the hands of one of the member as he tried to make her feel wanted by this world. 3. We noticed a girl reading her books using ‘braille‘ method and she suddenly got up, walked towards the tap, which was left leaking, and turned it off! The maid that comes to this home, who has perfect eyesight had left the tap open. The tap was atleast 25 feet away from the blind girl and the air was filled with other junk noises. We didn’t notice the tap, neither could hear it. She heard it! 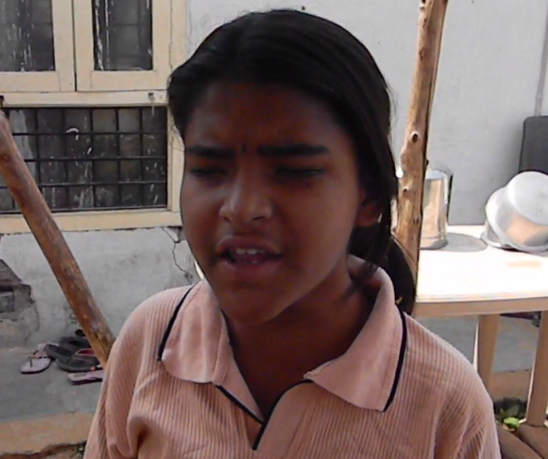 A blind girl reciting slokas. 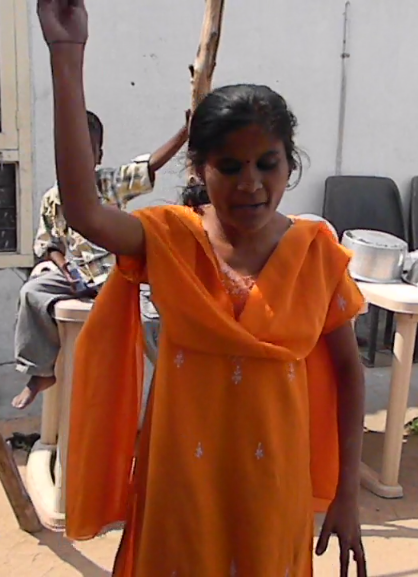 A blind girl doing Braille who later closed a leaking tap. Sadly, not everything is Okay in this home for blind. It needs quite some money to run this. And they don’t ask. They try to work it out by their self-sustaining methods. One such immediate problem they were facing is finding a place to live. The current landlord was troubling them. Sometimes he says he wants to re-build the house and live in there and so they need to vacate. And other times he would say, ‘Buy this land from me’ – to which he quotes 3 times the prevailing rate AND he wants his name to be engraved on the gate wall – as if he had donated the place. With much difficultly and strength, the man who runs this home put all his savings, pulled loan on few assests that he had, took credits from lenders and is still trying to manage to purchase a small plot where the blind can live in peace. Where someone wouldn’t come and throw them out after he is gone. We SCF members decided to make a contribution which was urgent, which would help them reach the big amount they needed to pay for pre-land title notary today. Hoping and praying everything goes smooth in their quest to secure a place to stay. 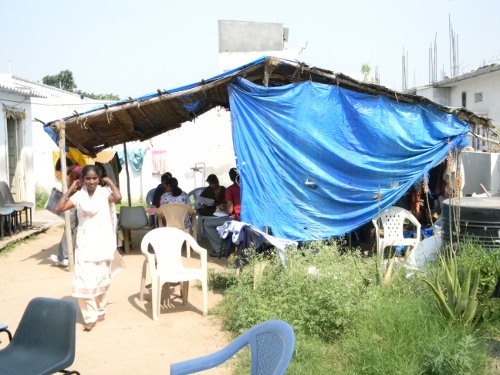 SCF helps funding a part of amount needed for vkvedika.org's new home. Btw, did I mention that the man behind this amazing feat (Mr. D.Subhash Gupta) is himself blind? Mr. Subhash Gupta, a blind employee at a bank helps others like him live dignified life.